You and your Chamber members are invited to join us on our annual trip to Boise to meet with Idaho legislators and other state leaders. The agenda is still in progress; however, events are planned for Tuesday, February 5th from 8:00 am to 4:00 pm. All events will be held at The Grove Hotel in Boise. We have a block of rooms reserved at the Grove Hotel. Your room reservations must be made directly by you before January 14th, 2019 to receive the rate of $139 per night. 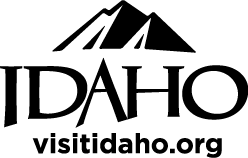 To reserve, call the hotel directly toll free at (888) 961-5000 and mention the Idaho Chamber Alliance block. Please return registration forms, payments, and the list of members attending by January 25th, 2019 to the Boise Metro Chamber.